Oh, Instagram. What was once such a fun, social app has become a nightmare for most. With shadow-banning, the infamous follow/unfollow method, the awful photo quality reduction happening lately, and who could forget our favorite feed algorithm, the app is becoming less and less of a positive place. Let's face it, most of us can't just delete Instagram despite all these recent problems because those followers are truly important to us, the app is the best method for displaying visual content at the moment, and most opportunities require an Instagram account. 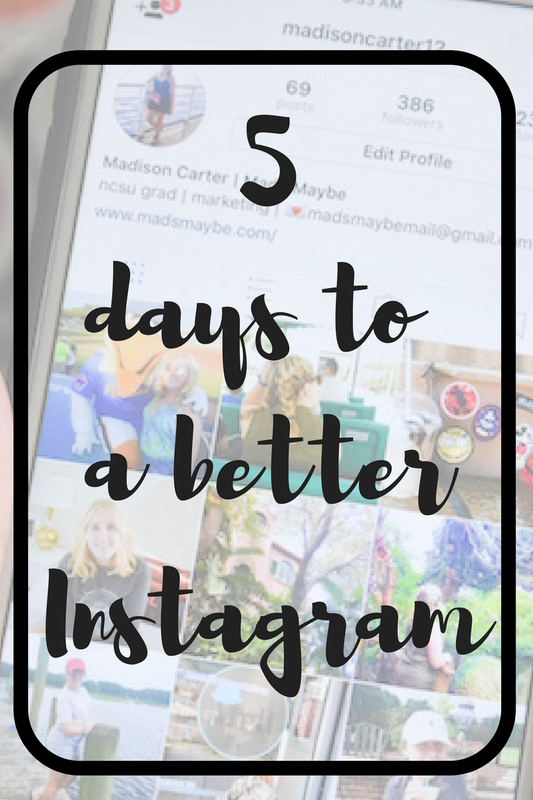 Fortunately, I have some tips that can help you grow your Instagram in just 5 days without any e-courses or payment (unfortunately for me (jk)). Know before diving in that this is kind of a commitment and growing your Instagram requires a lot of effort that I rarely have. I did, however, put my own tips to good use for a few short weeks at the beginning of summer and that's why I'm qualified to write this post because I figured out what worked, even if it was small scale. Also know that many of the followers you gain in this endeavor will ultimately be lost because of that pesky follow/unfollow, but the overlap will almost always be positive. Unfollow people who aren't in your niche. This is not the most fun task so get it over with on Day 1. I personally haven't even fully committed to this because there are friends that I simply will not unfollow right now. 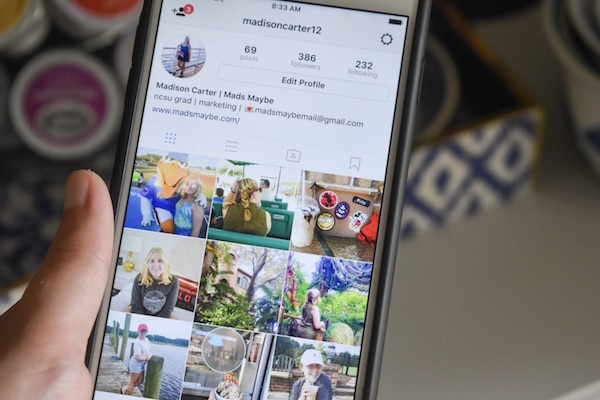 The logic is that if you unfollow random accounts that aren't related to your goals and the audience you are trying to attract, your feed will be full of photos you find inspiring and relevant and then you can comment on these photos and potentially attract followers from their following because you're posting similar stuff. This is a lot easier if your account is primarily for your blog, business, etc. and not so much of a personal account. But I know for a fact that it definitely works and is beneficial even if you don't fully commit (like me) because I found my feed more positive, encouraging to comments, and I was able to clear out some accounts that were no longer active and therefore, not beneficial to me in any way. Remember when you're continuing throughout this, be mindful of which new followers you choose to follow back. If they seem like the follow/unfollow type, avoid them at all costs. But also, if their content is not in your niche and you don't truly enjoy their pictures, you probably don't want to follow them. Now that your account has been cleansed, you're ready to dive right in! Start out by posting once a day and the longer you keep this up, the more growth you will see. I don't fully understand why this concept works, but it definitely does. And the minute I stopped daily posts, I started to see a decrease in followers. It's so difficult though! This is where the commitment comes into play, you have to intentionally create a collection of content that you can share even when you aren't doing anything cool. This is especially hard for me because my theme is always in the back of mind and most photos I want to post don't look good with my theme. Sometimes you just have to power through and ignore the theme, otherwise you may never settle on something you think is good enough to post. Do keep in mind how your profile as a whole looks when potential new followers are coming to your page though. Start leaving five comments on other accounts' photos per day. Engagement is super positive in all aspects of Instagram but commenting on photos is a good way to get your username out there to be viewed by all sorts of potential followers. Since you're only following accounts in your niche (for the most part), these followers - the people reading your comment - are a good fit to become new members of your audience. Leave an engaging, amazing comment that will get them interested in you and making their way over to your page. Avoid the only emoji comment, the generic phrase, and certainly any type of obvious self promotion. Focus on the subject of the photo, the caption, and make an intellectual comment about one of those things. The best comments have at least four words and are not something that can be commented under any given photo on the feed. Start using 30 hashtags under your post. This seems like a crazy high number of hashtags but it's the maximum amount allowed and you might as well use this up as much as you can. 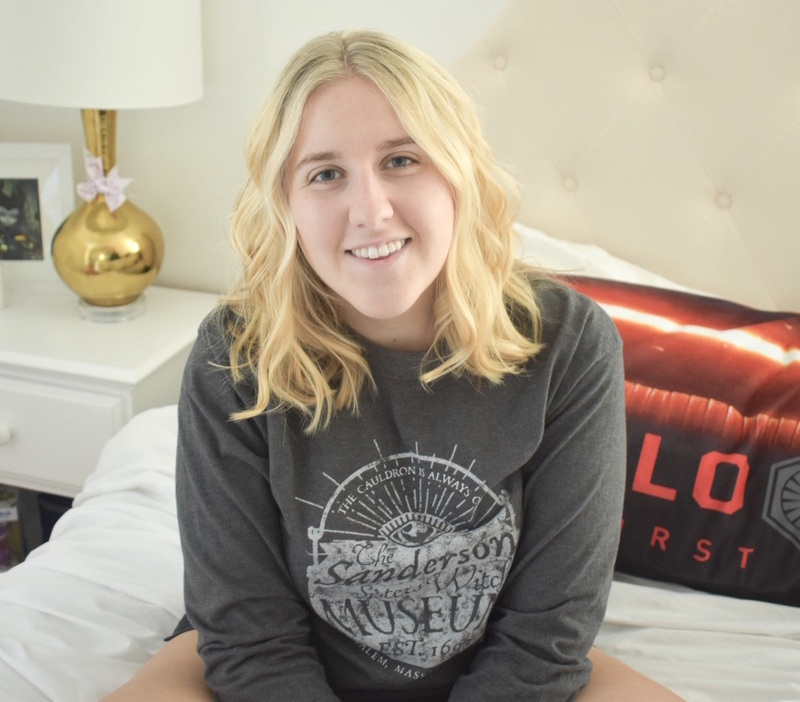 For my first 4+ years of Instagram, I despised hashtags and wouldn't be caught dead using them but I was dedicated to improving my Instagram and decided to give it a try. I gained so many followers, so many likes on these posts, and even a few extra comments that I didn't mind using hashtags after that. The trick is to post your hashtags as a comment - not in the caption - directly under your post right away immediately after posting it. Use the five dot method and type your hashtags into notes so you can just copy and paste them directly into Instagram and the comment is hidden with the [...]. Use relevant, carefully selected hashtags (beware the shadowban) that you know other cool users are also using on their posts. Try to get featured on other big (legit) accounts. I'll be honest, I don't have experience with this particular tip but logically, it would have to result in gaining at least a few followers and I do, on occasion, tag these accounts or use their hashtags so they might consider one of my posts to be reposted. Go on Instagram's search page and type in "I have this thing with" and you'll find so many accounts this tip will apply to relating to floors, doors, walls, hearts, etc. Check the account out and make sure they're crediting posts to their rightful owners and that they have a significant amount of followers before tagging. Never pay for an account to repost you!! Some crazy account owners will honestly email you offering this - hit delete and ignore because it's certainly not worth that and their influence is probably not that significant. Spend a little time looking for legitimate accounts seeking submissions that might fit your niche. Some other cool accounts to check out are CoffeeNClothes, girlsthatwander, abeautifulmess, even the @Instagram account if you're lucky. Stick with these tips and you're sure to gain a few followers along the way and see an increase in engagement! Let me know what your best tips + tricks for Instagram are in the comments below and how following these steps works out for you!